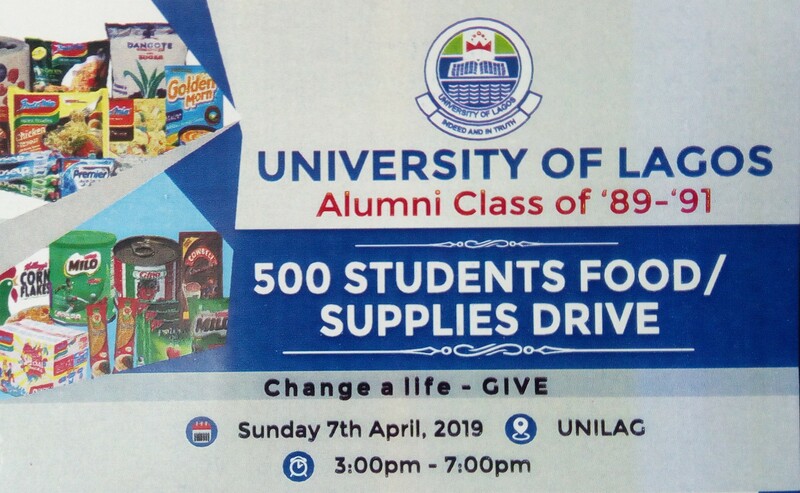 In a bid to give back to their alma mater, the Unilag Alumni sets of 1989 to 1991 on Sunday 7th of March kicked off a donation scheme to provide indigent students with food, provisions, and supplies. The scheme has been dubbed the “500 Students Food/Supplies Drive”, under the overriding theme ” Change a Life, Give”. 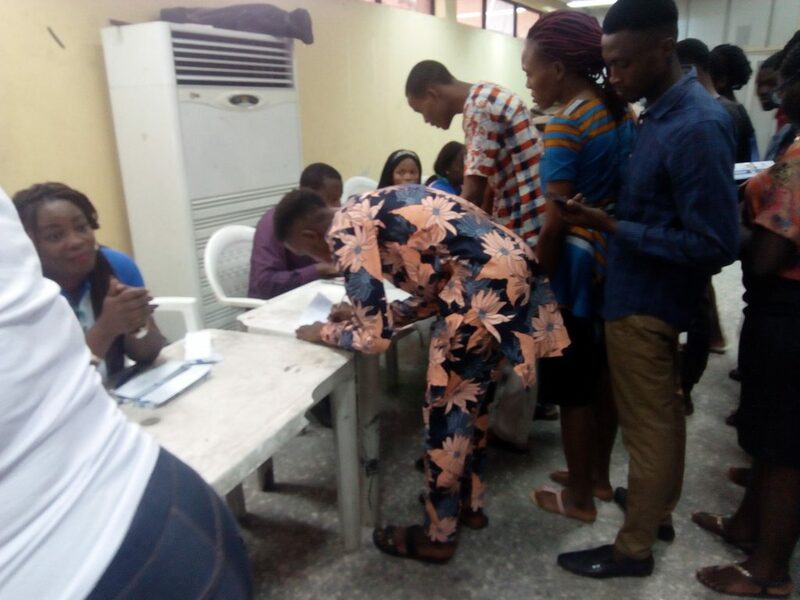 The launch of the scheme was held at the Multipurpose Hall C of the University of Lagos, and had in attendance the Vice Chancellor of the University of Lagos, Professor Oluwatoyin Temitayo Ogundipe, Dr. Benjamin Olowojebutu, and members of the 1989-91 Alumni Set. 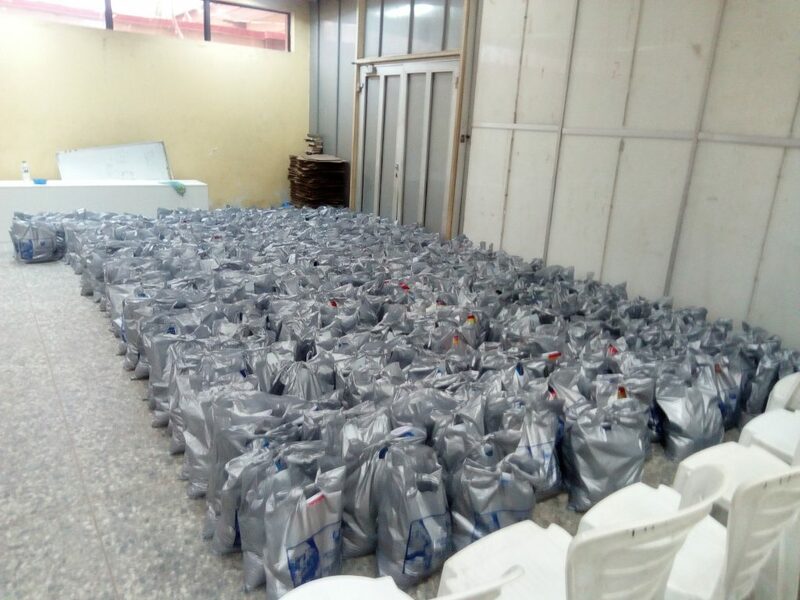 During the event, packages containing foodstuff, provisions and toiletries were distributed by the alumni to the 500 students who were present. 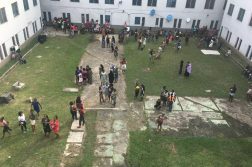 The National Secretary of the Unilag Alumni Association, Dr. Aaron Akinloye, revealed that the welfare package was the first of its kind, and the alumni still have plans to work on a similar project before the end of year that will cater for up to 1000 students. 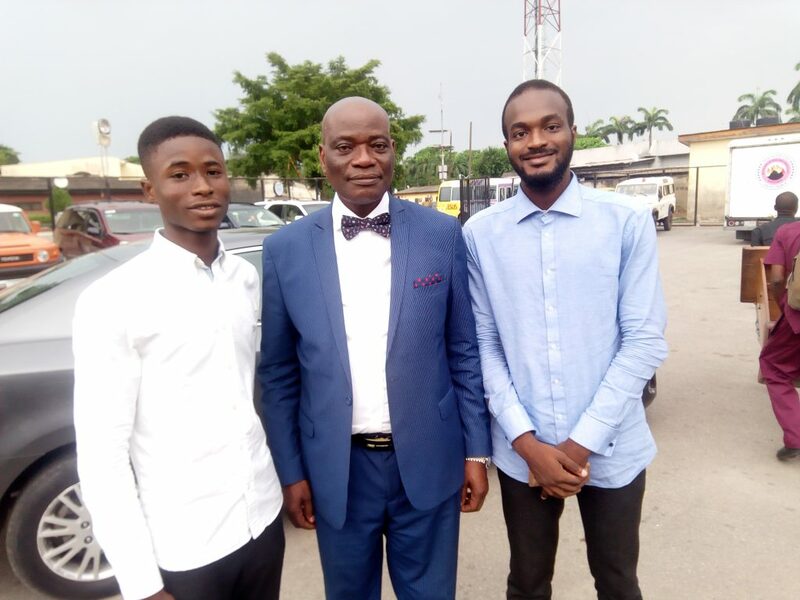 Dr Akinloye however advised the students to see the program as a privilege and not a right, and urged them to work hard so that in the nearest future they would be able to replicate the gesture. While speaking at the event, the Vice Chancellor emphasized the need to let alumni know that they had to do something to give back to their alma mater. Professor Ogundipe also listed some of the projects already in place by other alumni sets, including a structure for the Innovative Hub at the Lagoon Front worth about 120 million naira. 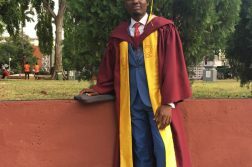 “Show me a school that is doing well and I’d show you an alumni system that is vibrant,” the Vice Chancellor concluded.